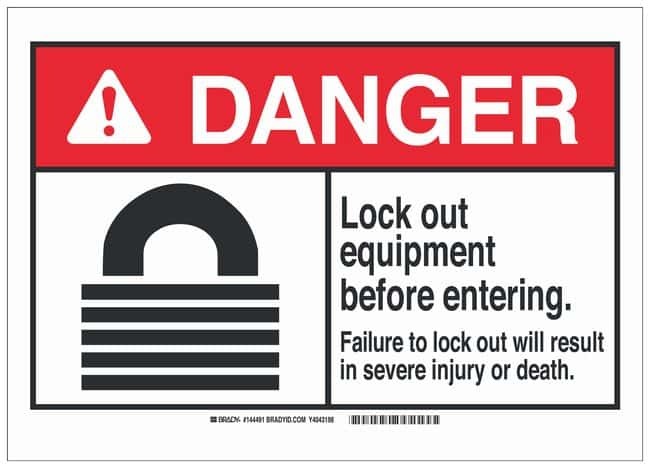 Brady Aluminum Lockout Tagout Sign: LOCK OUT EQUIPMENT BEFORE ENTERING. Brady Aluminum Lockout Tagout Sign: LOCK OUT EQUIPMENT BEFORE ENTERING. FAILURE TO LOCK OUT WILL RESULT IN SEVERE INJURY OR DEATH.